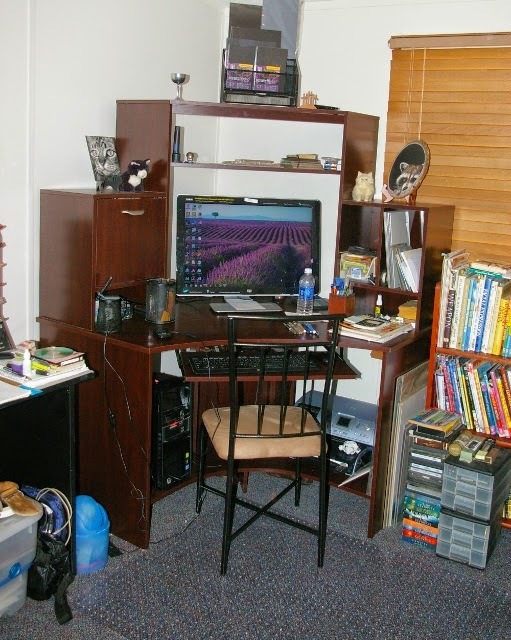 One of my readers asked if I could give tips on how I store and organize my supplies. 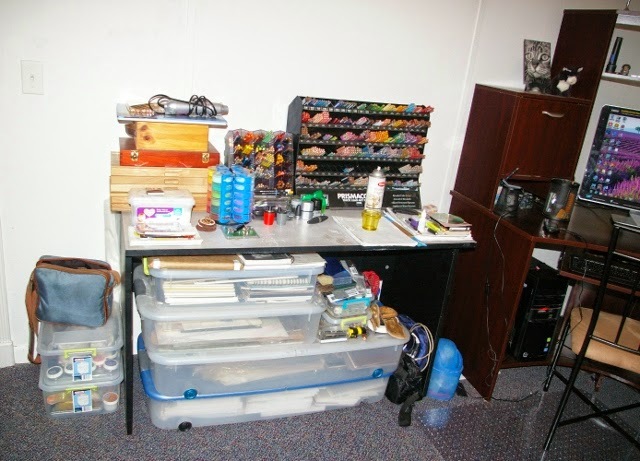 So, in response to that request, here is the first of several articles concerning what I have learned over the years about organizing and storing my art supplies. First is something I am rather proud of. It's my pastel station. 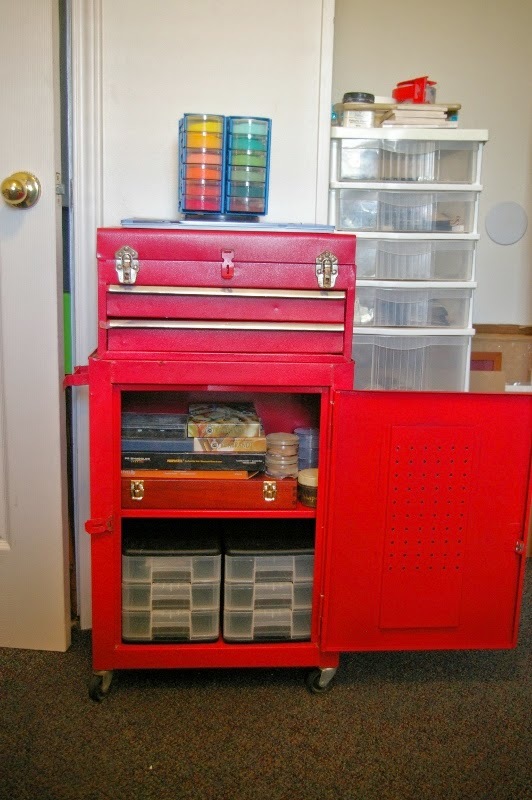 It consists of a tool box that has three flat drawers on top and two shelves underneath. I have converted it into a place to store my pastels. 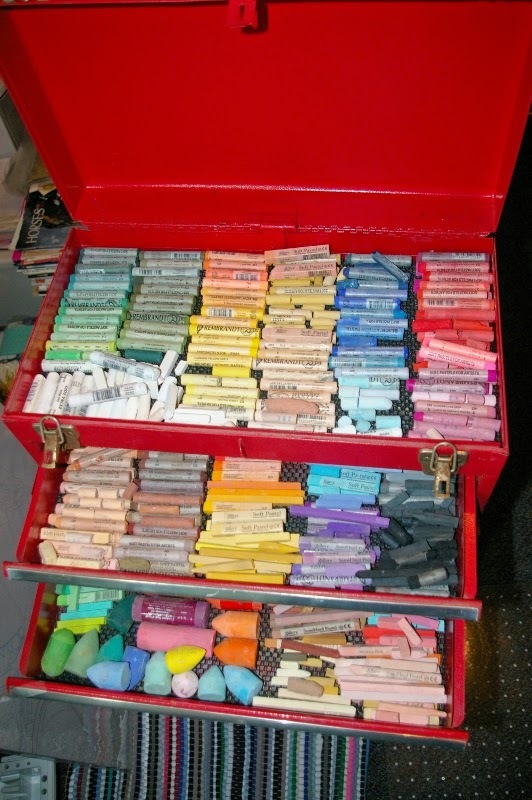 In the top three drawers I store my pastel sticks, including soft, semi-hard, and hard sticks. I try to keep them separated by hue first, then within each hue family separated by values. I did not have quite enough room to store them all, however, so some of them are stacked on top of each other. I wanted some foam padding to line the drawers with so the pastels would be protected, but had a difficult time finding some except for in large quantities, which I did not need. Then while walking through the Dollar Store one day, I saw contact paper and in with the contact paper was some black foam-like padding that was perfect for the job! It came in smaller quantities and was very inexpensive. So, I measured it out, cut the pieces, then doubled them and laid them in the drawers, placing my pastel sticks on top. Worked like a charm! In the bottom section, the two shelves, I have two sets of small drawers that hold pastel pencils and other small assorted pastel supplies, plus a wooden box that holds a complete set of Derwent pastel pencils, several boxes of small Rembrandt pastel sets, a small set of Richeson semi-hard pastels, a full set of NuPastels, and several pan pastels. On the very top of the pastel station I have a full set of Conte pastel pencils and a lazy-susan type of device that holds my pastel powders. Long before pan pastels were developed, I was grinding down pastels into powders to use in artwork. It's not the exact same thing as Pan Pastels (my powders have a bit less pigment), but it's close and works fine for me. It's also a lot less expensive! So there you have it: The Pastel Station! 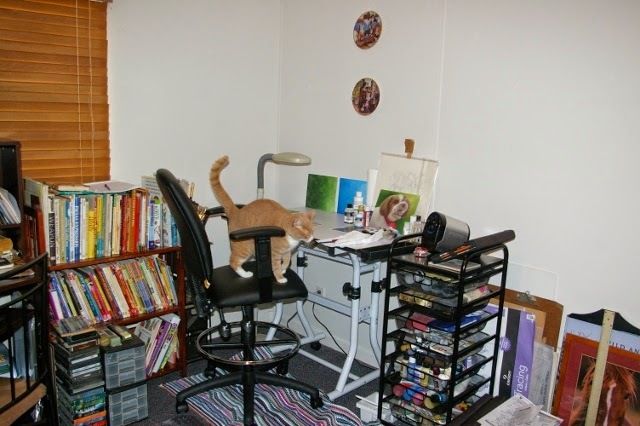 You'll also notice that it has wheels, so I can move the entire station conveniently and with ease to either my drafting table or to my easel so all my pastels will be right at my fingertips. I love this set-up, but I'm not sure what I'm going to do if I get many more pastels. Here is the studio after a lot more unpacking and more furniture added. 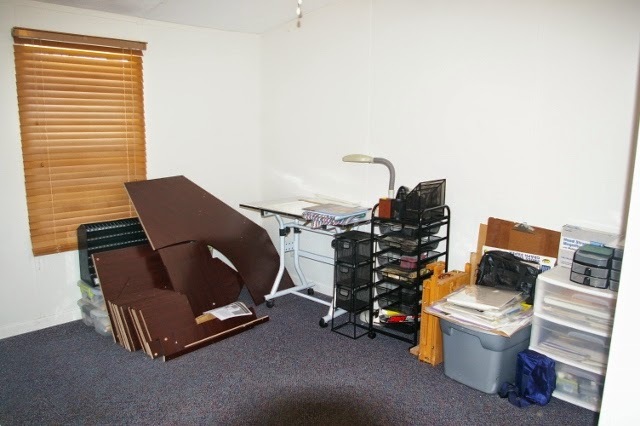 Here's my drafting table, taboret, bookcase, and other assorted things. Of course, the Toot had to pay a visit and check out what I have been working on all afternoon. Here's my computer center. 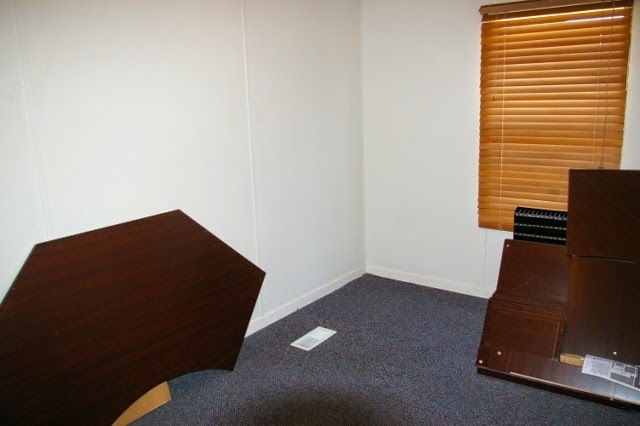 You can see some of the scratchbord panels in the rack above, but what you can't see are all the pastelbords on the second shelf and on the floor right up against the right side of the desk. This was supposed to be my cutting table, where I could cut paper and frame pictures, but since I can't seem to find one of my tables, it has turned into a place to put some of my pencils and pastels. And one must always have some storage space. 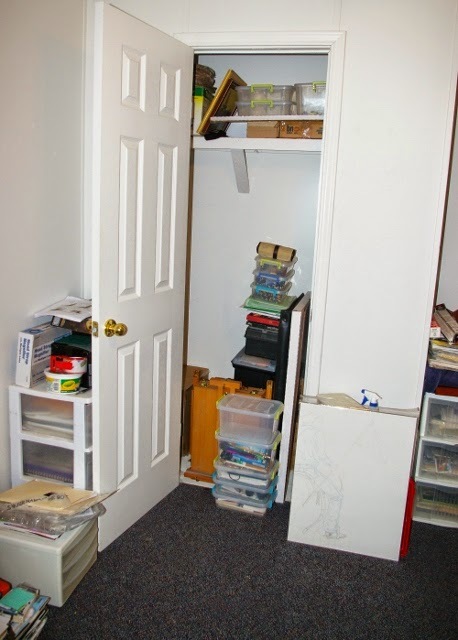 A friend of mine is going to put some custom shelves in the closet so I can have more organized storage space rather than just stacking stuff up. The backgrounds I worked on today are these (sorry for the glare on the blue one). I have been waiting for this moment to try to figure out the background for my Cowboys for Christ painting so I can finally begin on the painting, and I have pretty much figured it out. 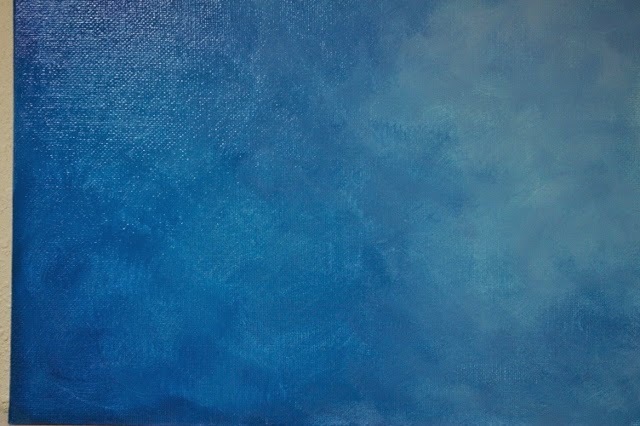 These are simple backgrounds, but it's my first time making anything in acrylic, nevermind a background. The colors in the photos aren't as bright as they are in real life unfortunately. 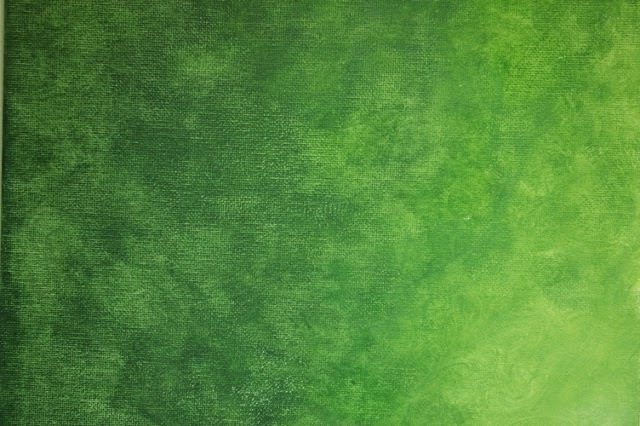 The green background is a possibility for a dog portrait. I'm SO happy to have a studio again and be back to work on my art ..... FINALLY! Have a great day everyone and keep on creating!! Work-in-progress of a scratchbord of Treat, my beautiful long-haired tortie. I'm still unpacking all of my art supplies and "stuff" and organizing my new studio. Very excited over finally having my own studio space!!! I really need to get some photos taken in the next day or so. I don't have too much left to unpack, but quite a bit to still organize. I'm having some custom shelves built into my closet space for additional storage space. I also got an idea for another way to store and organize my art magazines, of which I have many dozens to organize and store. I want to use those plastic crates a lot of people use to put kids toys in. I thought I can put stand it on it's side, stand my magazines in there, by order of date and particular magazine. I am hoping to be able to use two of them and stand one on top of the other. Don't know if it will work though since magazines in bulk tend to be quite heavy. 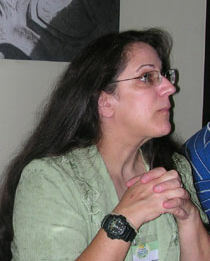 I'm also trying to come up with ideas for new articles to write for my blog. Having lived in a tiny travel trailer for almost the past two years now, I haven't been able to get much artwork done. So I need to kickstart my creativity. Anyone have any ideas or suggestions? Is there anything you would like to learn more about? Let me know please and I'll see what I can do about putting together an article on the topic. Must go for now. Will try to have pics for next time.